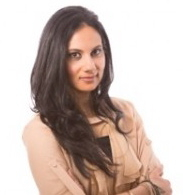 Maaria Mozaffar, founder of the Skinless Project joins eHealth Radio and the Weight Management Channel. Maaria lost over 50 pounds in 7 months naturally after the birth of her twins and talks about how weight loss is a mental game and much more. One of your two blogs we’re discussing here. The title is poignant but also throughout provoking “Somalian mothers lose their children but we feed ours twinkies.” Maaria, that’s a bold statement about obesity and starvation around the world. With Thanksgiving this week, what are you thoughts about childhood obesity? Why do you think its so important to teach your children about eating healthy from a young age? You recently lost over 50 pounds. Have you been able to keep it off? What do you recommend to our listeners who can’t resist temptation during the holidays? Your second blog “Journey of A Triathlete, Are You a Super Hero in Hiding,” talks about how you stepped out of your box and trained for a triathlon. Where did the inspiration come from to do this? How did you do it? What sort of advice would you offer our listeners who are trying to shift into a living a healthier lifestyle? Maaria Mozaffar is a wife, mother and lawyer and most importantly founder of the Skinless Project. Maaria lost over 50 pounds in 7 months naturally after the birth of her twins. She focused on eating clean, staying active but most of all staying positive. Maaria says weight loss is a mental game and the he most important attribute of weight loss is the positive space you are in. The second is recognizing how foods play a role in your positive space and your relationship with food.